First, we air a portion of Ursula K. Le Guin’s acceptance speech from the 2014 National Book Awards, where she received the Lifetime Acheivement award. Ursula K. Le Guin, wrote fantasy and sci-fi for 77 years of her life, contributing many books such as The Dispossessed, The Left Hand of Darkness, The Word for World is Forest & The Earthsea Series. She died on Monday, January 22nd at the age of 88. Her fiction touched on many themes, including anarchism, taoism, gender, environmentalism, sociology, anthropology and psychology. Her official website is here. The full video this was pulled from, including the introduction by Neil Gaiman can be found here. We are nearing the end of the second week of #OperationPUSH!, which is described in a statement released by participants, as a work stoppage or “laydown” in at least eight prison facilities around the state of Florida. The beginning of this plan coincided with Martin Luther King Jr’s birthday on January 15th 2018, in protest of the deplorable conditions in FL prisons. This comes hot on the heels of the September 9th prison strike which took place in 2016 on the 45th anniversary of Attica, and disrupted operations in dozens if not hundreds of prisons across the country. This is being called the largest prison strike in US history, and was followed by several subsequent strikes all over the country. It has been difficult to get information about OperationPUSH! ; FL prisons are being predictably recalcitrant and have also been imposing communication blackouts for even suspected participants. However, there has been one major insight into this situation in the form of an article by Kevin Rashid Johnson entitled Florida Prisoners are Laying It Down. In this article, Rashid (who is a prison journalist and self taught paralegal) describes conditions within Florida prisons in detail, including the high cost of goods in the commissary coupled with the fact of forced and unpaid labor, up to and including a culture of abuse and neglect by prison staff. In retaliation, Rashid has been thrown into an unheated cell, with no working toilet and with a window that cannot properly close, making the temperature equal to the subzero environment outside. This is a clear sign of retaliatory torture, and surely is what Rashid calls “a true emergency”. It is urgently requested that people call the prison to advocate for and demand the immediate cessation of this abuse on the part of the prison! Stop retaliating against him for reporting on conditions within your prisons. A little heads up about media worth checking out. This week, It’s Going Down aired a podcast interview with an anarchist in the U.S. who’s from Turkey about the Turkish assaults on Afrin, one of the cantons of Rojava, the autonomous Kurdish region in Northern Syria. Afrin is administered by the Democratic Confederalist PYD and defended by the YPG & YPJ militias. The interview covers some of the history as relevant to anarchists, some of the developments of Rojava through the Syrian Civil War, their alliance with the United States and Rojava’s relationship with Turkey and other states involved in the proxy wars in the region. This interview is well worth a listen, and hopefully can aid you in organizing reading groups, fundraisers or demonstrations in your area in support of Rojava and it’s tenuous experiment. Just a little heads up, too, we’re messing with our podcast a little bit, not so much in format but more so in distribution. So, we set up a soundcloud with the three latest episodes and all of the episodes in our podcast stream are now up youtube though the videos only plays our show as you’d hear with the episode image as the background. If those platforms are your deal, swing by and follow us. I’d also like to remind y’all that we’re up on itunes. If you go into that blasted program and rate our content and write reviews, it fucks with the algorithms and will make the show visible to wider audiences. Also, I’d like to reiterate what we say in the introduction to the show, that we have a free edition of the show that’s 59 minutes in length and falls within the requirements of the FCC here in the U.S. for radio broadcast. If you have a community or college radio station in your area and you’d like to hear us up on the airwaves, getting into folks’ cars, houses, jail cells, work places or whatever by the magical accident of radio science, check out our Radio Broadcasting link at our website, hit us up on social media or email us to get the ball rolling. In addition, we suggest getting some friends together to petition the local radio overlords to get us on their station. Airs on WSFM-LP 103.3 in Asheville / streaming at AshevilleFM from 3am EST on September 25th through October 1st and podcasting on libsyn.com. 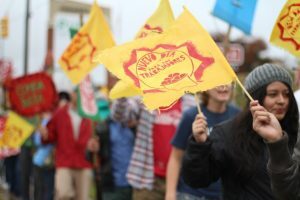 Today we are airing an interview conducted with Lupe Gonzalo of the Coalition of Immokalee Workers in Immokalee, Florida. This is is a worker-based human rights organization which seeks to promote awareness of social responsibility, human trafficking, and gender-based violence at work and in corporations, seeking to boost the voices of some of the more marginalized workers in the US. We talk about the ciw, how it got started, and about hurricane relief after Hurricane Irma. We also touch on some political differences and points of unity with anarchism. This interview was conducted in translation from Spanish into English, with Patricia of the Alliance for Fair Food doing translation. If anyone would like the full interview just in Spanish, please write to us and we will provide that audio! 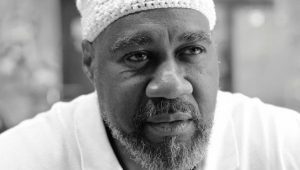 Then comes part two of Prison Radio’s interview with Jalil Muntaquim, who is former member of the Black Panther party and the Black Liberation Army and is one of the longest held political prisoners in the world. While incarcerated, Jalil has become a father, grandfather and great-grandfather. Jalil graduated with a BS in Psychology and a BA in Sociology in 1994. He has written several books, arguably most notable being We Are Our Own Liberators, his most recent being a book of poems entitled Exiting the Prism. More from CKUT out of Montreal can be found here! In Asheville on Wednesday, there’ll be a protest against Duke Energy, which proposed to the NC Utilities Commission to raise electricity rates 15%, raising $200 million a year to pay for the cleanup costs of their coal ash dumps and build new infrastructure to keep us dependent on ecocidal fossil fuels. NCUC is holding a public hearing from 7-10pm at the downtown courthouse in Asheville, with a rally starting at 5pm and marching towards the courthouse. You can find a fedbook event for a training to help you get more comfortable with presenting during public comment period. Also in Asheville this Wednesday, Sept 28th at UNCA here in Asheville, there’ll be a presentation from 6-8pm. Location to be determined, but you can find more at fedbook by searching for “Eyewitness to Charlottesville.” The presenters are from the (shudder) International Socialist Organization (ISO) from Raleigh, a UNCA student and member of the Democratic Socialists of America (DSA), and members of the Carolina Mountain John Brown Gun Club, formerly Redneck Revolt. 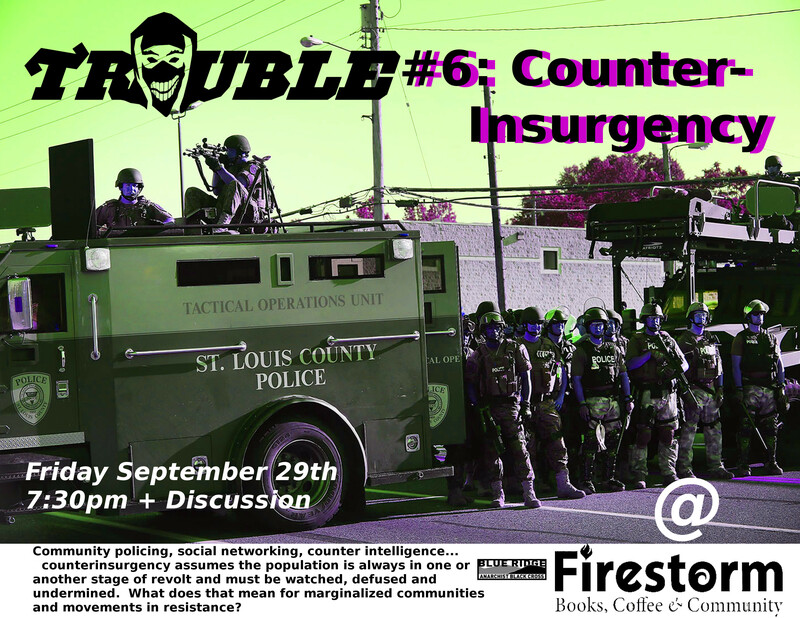 BRABC will be airing Trouble #6 on Friday the 29th at 7:30pm. This episode of the short-documentary series from sub.Media is focusing on Counter-Insurgency. The showing is free and will be followed by a discussion with questions crafted by sub.Media on the topic. The flyer for the event can be found here. On September 8, 2017, an FBI agent attempted to visit a comrade in western North Carolina. They visited a house, and the person there stepped outside to talk to the agent, who repeatedly asked if the comrade in question lived there. The person at the house did not engage with those questions, and instead insisted on a card from the agent that a lawyer could call later. The agent said it was regarding a case being handled by another office. This comes at a time when Anarchists have been standing up to a grand jury and other FBI harassment across the state of North Carolina. The person who the FBI agent was seeking secured legal representation. On September 13, 2017, their lawyer called a number the agent wrote down, and the FBI specified that they were actually looking to speak with the person’s child, a minor. The FBI said that they were seeking the original person because a legal guardian had to be present for the agent to talk to the minor. During that call the agent stated she wanted to ask about graffiti on a car related to a case being investigated by the FBI Field Office in Raleigh, NC. The minor in question has now secured legal representation. Nobody above is speaking to the FBI. We cannot just hope that harassment like this stops. Get educated on how to protect yourself if the FBI shows up. If you are approached by the FBI, refuse to answer their questions. Know your rights! Please read If An Agent Knocks for more information. We cannot let them intimidate us and raise fear and distrust. This week we’ll be taking a little break. We’ll be sharing a short interview conducted by friends of ours at Prison Radio at CKUT from the studios of McGill University in Montreal, Quebec in so-called Canada. 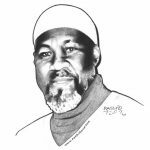 This interview is the first of a few with Jalil Muntaqim, incarcerated since 1971 as an accused member of the Black Liberation Army. In the interview, he talks about his conviction, about the Counter Intelligence Program of the FBI (COINTELPRO) used against the Black Panthers, and the participation of the Policeman’s Benevolent Association and Fraternal Order of Police in pressing to withhold parole from Jalil and others of the New York 3. More segments speaking with Jalil about his case and his attempt to build power in supporting Jalil in his bid for parole while resisting the efforts of the racists at the BPA & FOP’s to make him die in prison. Here’s a link to the film Jalil references, Legacy of Torture. Then we will have some brand new releases which were posted on the blog Red and Anarchist Black Metal!